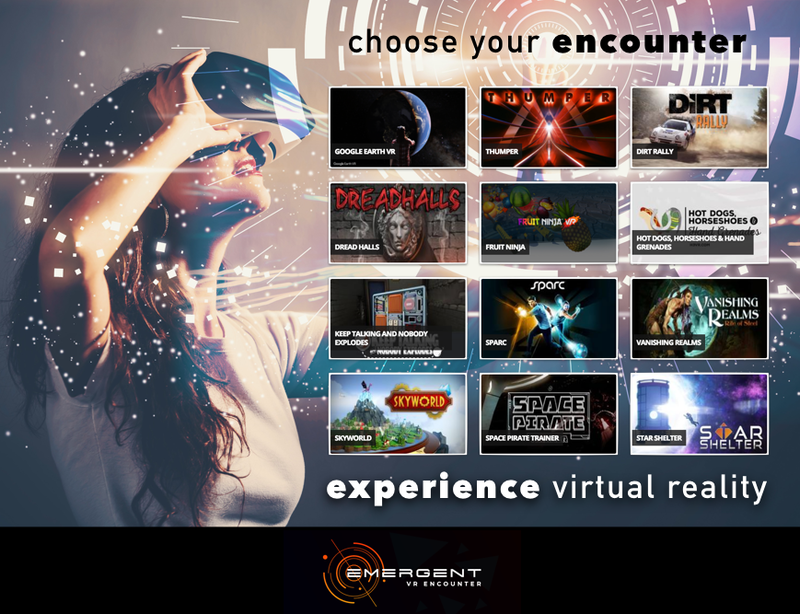 Get ready to experience virtual reality in a whole new way as Virtual Reality Arcades and High Tech Lounges start popping up across the nation – just like Emergent VR Encounter that opened in July 2018 in The Woodlands, Texas. 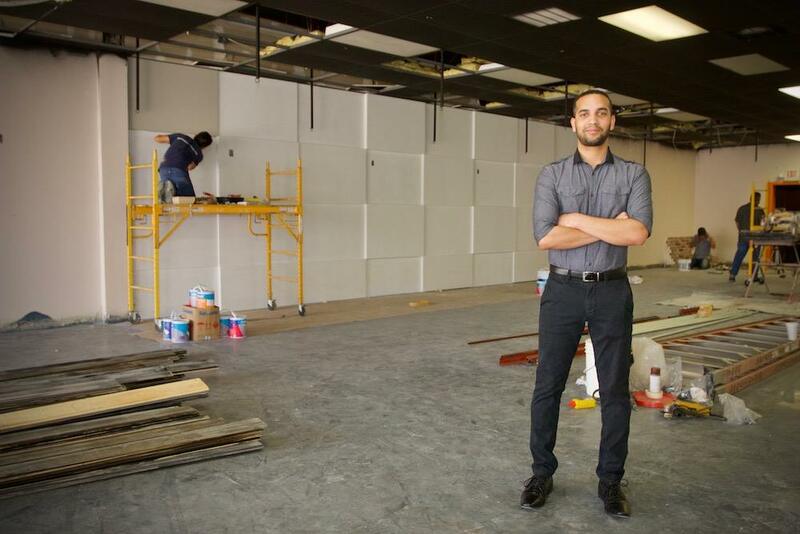 Emergent VR Encounter is the first high-tech gaming lounge and arcade in the area that will provide virtual reality encounters for all ages. So, what is a VR Arcade? General Manager Michael McLennan on location at Emergent VR Encounter that opened July 2018. The virtual reality arcade offers a wide range of VR encounters with packages for all ages, individuals, groups, parties and corporate teams. The space and cost requirements can limit access to premium quality virtual reality for many. At Emergent they are trying to expand the virtual reality industry with broader awareness and with accessibility. They will offer a premium room scale virtual reality experience and a variety of encounters at an affordable price – complete with one set of gear and one television per station. Room scale virtual reality will allow users to move around in the virtual world, creating an endless number of possibilities for content. Multiplayer Action – Team up with your friends, family, co-workers, or even strangers to battle it out in some intense VR action games up to 12 players (based on Emergent VR Encounter number of stations). Extensive Game Library – Over 65 different games to choose from ranging from horror, RPG, Racing, Sports to kid-friendly genres. Fully Immersive Experience – Precise, 360-degree controller and headset tracking, realistic graphics, directional audio and HD haptic feedback mean realistic movement and actions in the virtual world. Safe And Clean – Headsets will be equipped with hygienic padding to make your VR experience safe. Headsets and controllers are wiped clean thoroughly after every session. First Person View – Not a big gamer? You will be able to sit in the open lounge area and watch your friends, family or co-workers during their encounter. Emergent VR Encounter features different Virtual Reality stations and one private room that is 3 station capable. Each has one complete set of gear and one TV, allowing friends and families to watch the experience while you’re immersed in the virtual reality. Only one person will be permitted in each play area at any time. Multiplayer games will be available, but will require multiple booths. Minute bundles are available at various levels and pricing based on hours of game time, discounts for additional time and guests, and exclusive invitations to preview newly released games. Weekly specials are set to include discounts on multiple booths and 25% off when you wear a Emergent VR t-shirt or baseball cap to the arcade. Merchandise, gear, gift cards and concessions will be available for purchase on location. 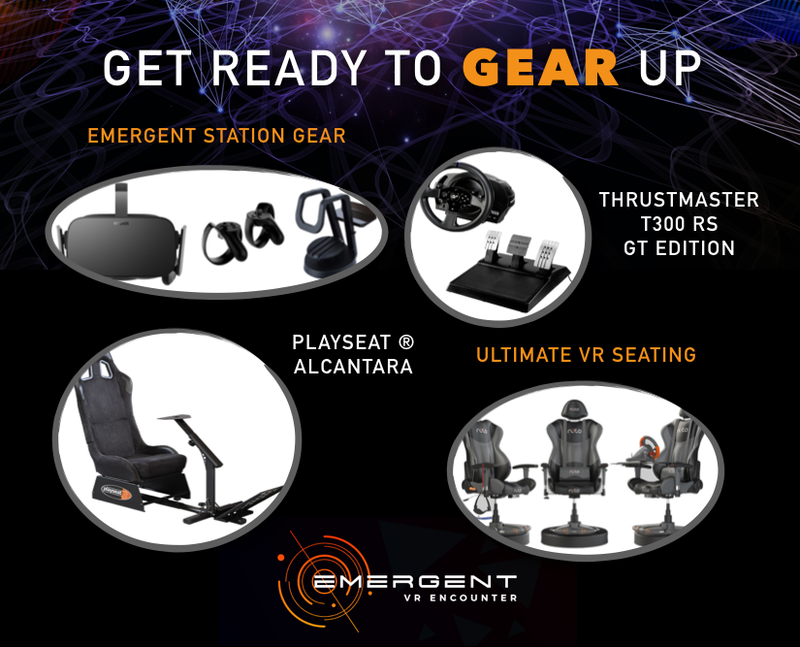 Emergent VR Encounter will be hosting new game release previews, meet ups, birthday parties, corporate events, field trips, and more at their new location.